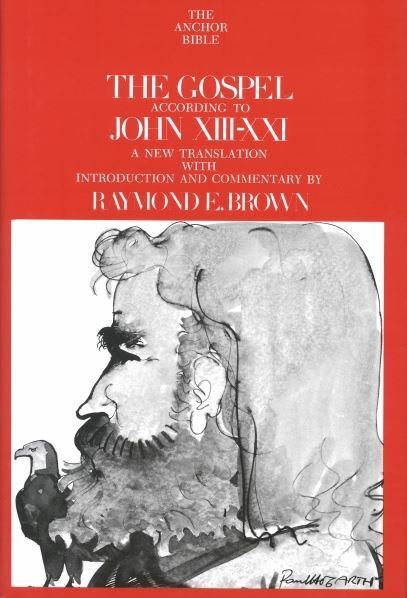 This volume concludes Raymond E. Brown's commentary on the Gospel of John. Continuing his study begun in Anchor Bible Volume 29, the author translates the original Greek text into today's English, which allows all readers to make sense of the Gospel. Father Brown's notes and comments sort out the major issues surrounding the writings of John -- questions of authorship, composition, date, and John's relation to the Synoptic Gospels (Matthew, Mark, and Luke). He analyzes and presents the scholarly debates in a form the interested layperson can appreciate. John chapters 13-21 comprise the Book of Glory (describing the Last Supper, the Passion, and the appearances of the Risen Jesus) and the epilogue to the Gospel. This commentary includes a special appendix on the Paraclete, in which Brown examines in detail the role of the Holy Spirit. Whether discussing John's version of miracle stories found in the other Gospels, explaining the meaning of obscure Greek words, or showing the relevance of Jesus' words and deeds, Father Brown speaks to scholars and laypeople alike.